DIY Malachite Gift Tags and Giving Back With Garnet Hill. My friends at Garnet Hill are hosting a wonderful campaign this holiday season to benefit St. Jude Children’s Research Hospital®. 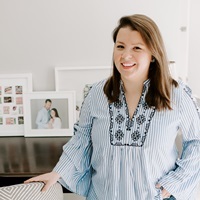 To participate, Garnet Hill is asking people to post a photo of a beautifully wrapped gift with #StJudeShareAGift on Instagram (or upload directly to the landing page here) which will trigger a $10 donation to St. Jude Children’s Research Hospital, up to $15,000 total donation. 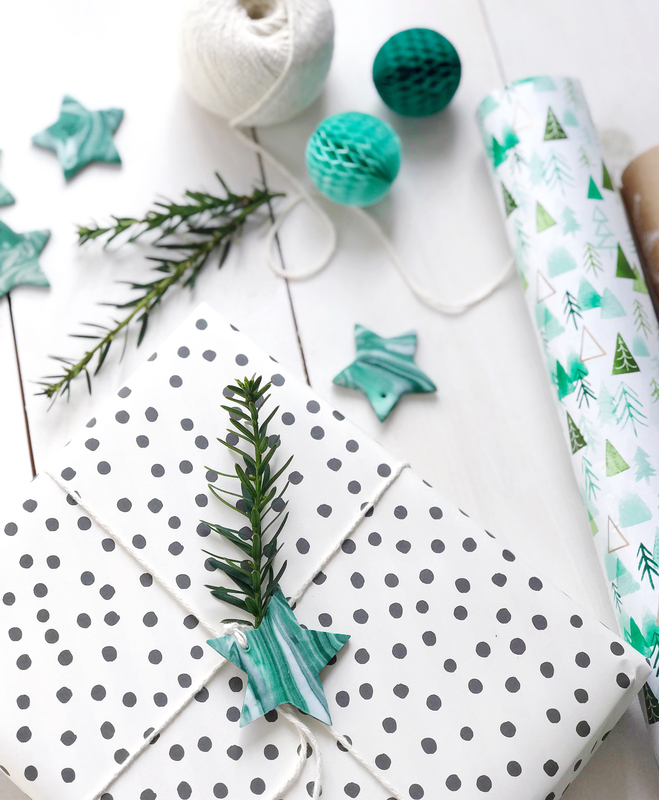 In the spirit of the holidays, and participating in this great charitable campaign, I’m sharing a fresh idea here today to make your holiday gifts look beautiful with DIY faux-malachite gift tags. I’m all about adding natural green elements to my gift-wrapping; there is nothing prettier than a few sprigs of fresh rosemary or snipped pine branches tucked into the ribbon of a holiday gift. I thought it would be fun to add another naturally green element to my gifts this year for a lux look with faux malachite. The swirly marbled green tones of this gorgeous mineral were my inspiration for this simple DIY. It’s as easy as playing with some clay from your childhood. In fact, it would be a great way to get your kids involved in this DIY by having them help swirl dark green and white clay together to create this marbled look. Roll out green and white craft clay into a few long strands and then twist them together. Continue twisting and rolling the two colors together until you get your desired pattern (don’t over work the clay or eventually you’ll lose the lines and it’ll become a mint-colored clay as the two tones fully combine). 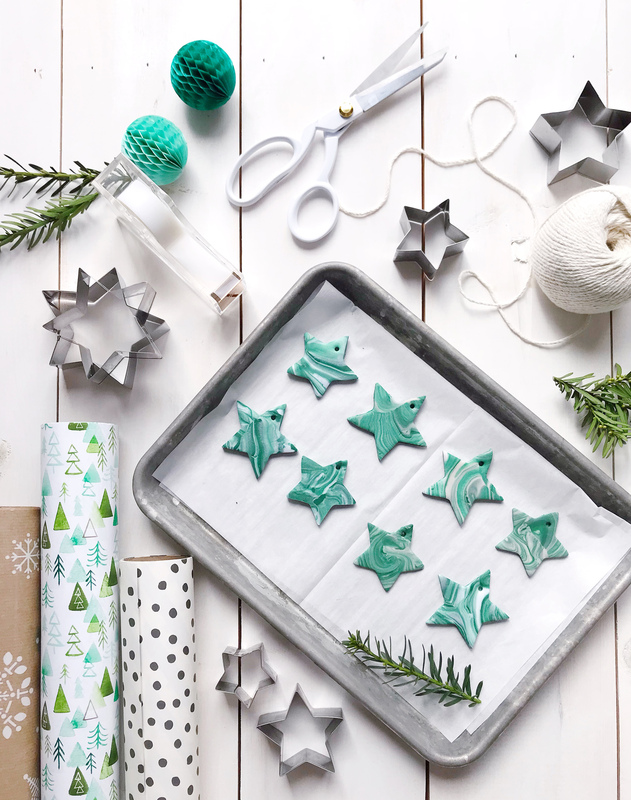 Roll the patterned clay out into a ¼” thickness with a rolling pin, and then use cookie cutters to stamp out your desired shapes. Use a skewer or toothpick to add holes to the shapes before baking them in your oven at 230 degrees for about 20 minutes. 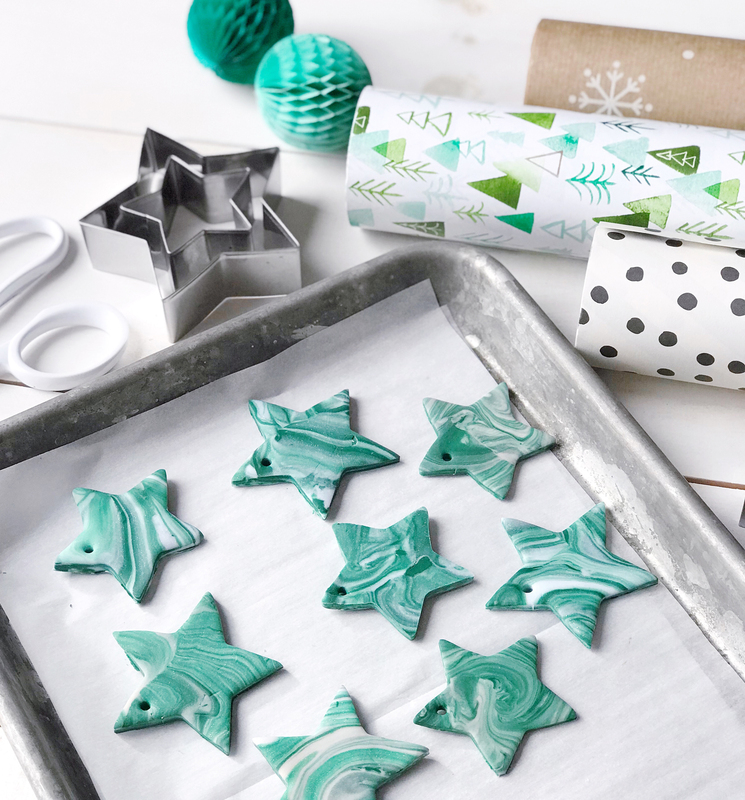 Let them cool and then use them to adorn your holiday gifts. Repurpose the tags as personalized ornaments for your friends and family too, consider stamping your gift recipient’s initials in them, or with a special date from 2017. 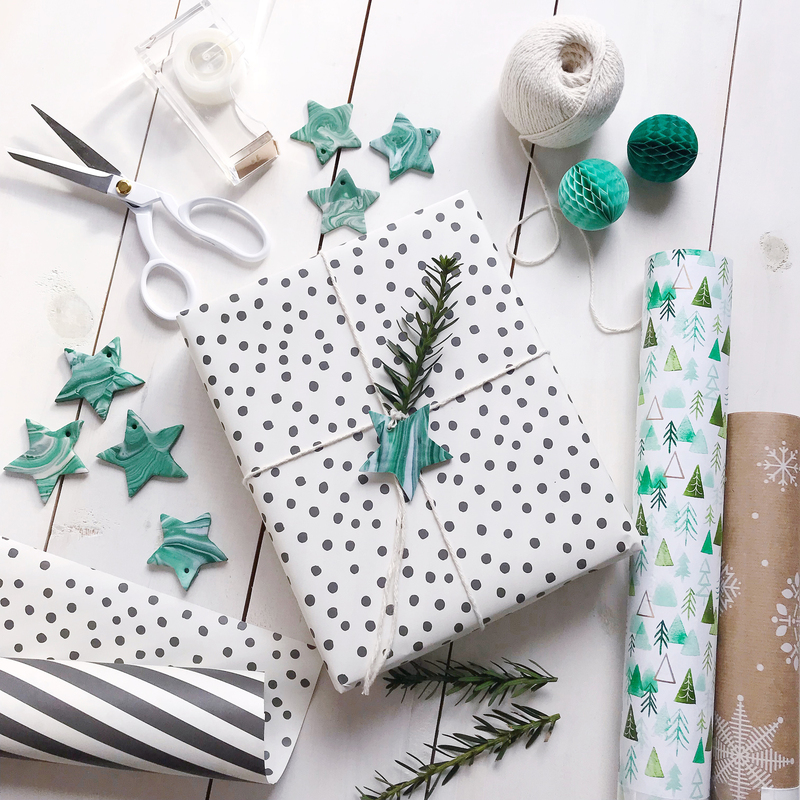 If you make this DIY, or have another beautiful gift wrapping idea to share, post it on Instagram with the hashtag #StJudeShareAGift to give back with Garnet Hill this holiday season. 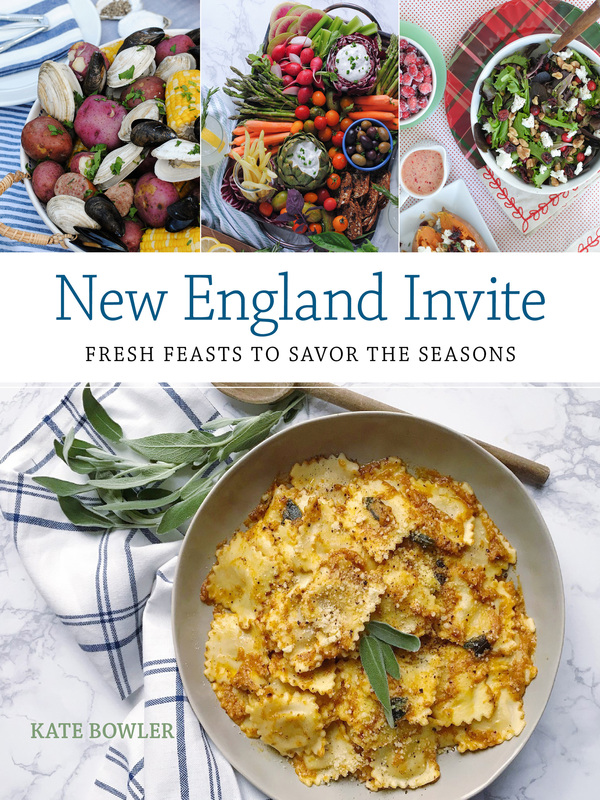 Please note: This post was created in partnership with Garnet Hill. All opinions and images are my own. Thank you for continuing to support the brands that help support this site! Tree-Trimming and a Holiday Snack Mix. Holiday Coffee Bar and Snowman Sweet Treats.